Nimble | Maybulb • We make things for your screens. nim•ble / ˈnɪmb(ə)l / adj. Nimble allows you to access a massive amount of knowledge whenever you need it. Using Wolfram|Alpha, Nimble allows you to calculate and graph complex equations, convert between units, and access a treasure trove of reliable information about anything from chemistry to Beyoncé. The menubar client is every bit as intuitive as the web interface, meaning, it’s easy to use and even if you aren’t quite sure what you’re asking, there’s a good chance Wolfram Alpha will figure it out. 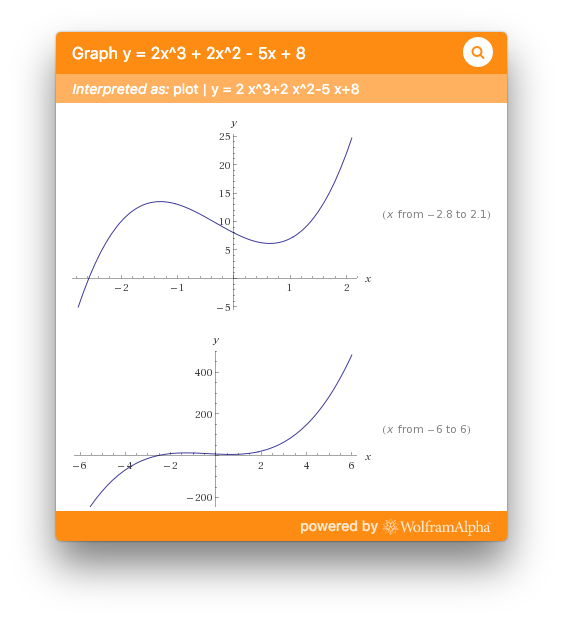 Nimble can handle pretty much anything you’d normally throw at Wolfram Alpha, including simple questions and math problems that require graphs. In addition to the results of conventional computing tasks, Nimble can also show you the graphs of functions using the scientific search engine, provide data series, historical weather information and answers to pretty simple questions such as: “What’s the world’s population?”. Nimble is free and open source. Plus, it's been downloaded times and counting. Why not give it a try? Developers, make sure to check us out on GitHub.